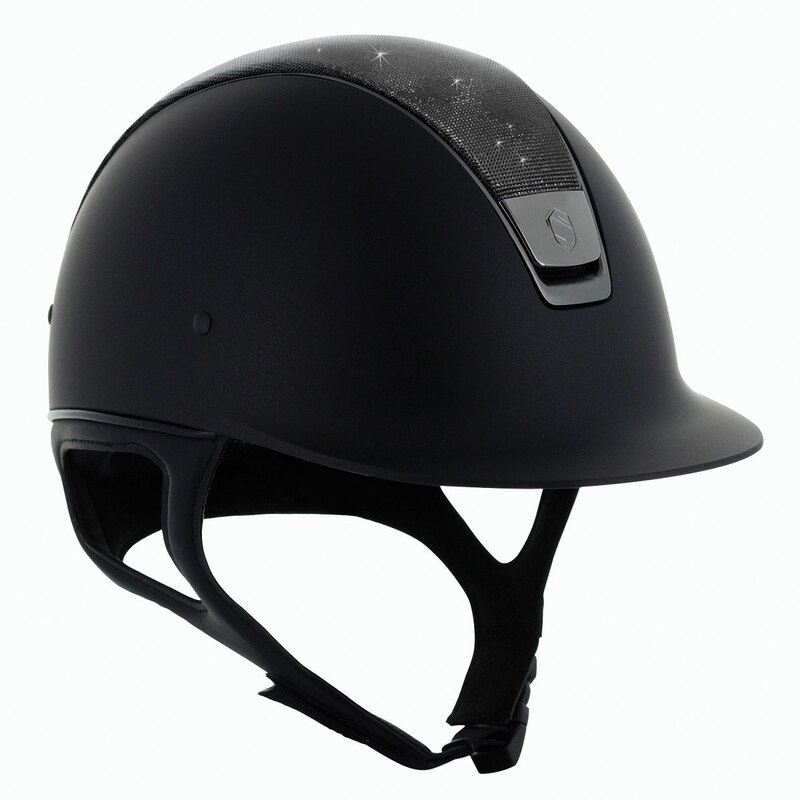 The Samshield Shadowmatt Shimmer Leather Top Helmet combines the rider's needs, with creative energy, and technical vision. The high quality Polycarbonate outer shell construction combined with variable density polystyrene inside shell provides excellent impact absorption. 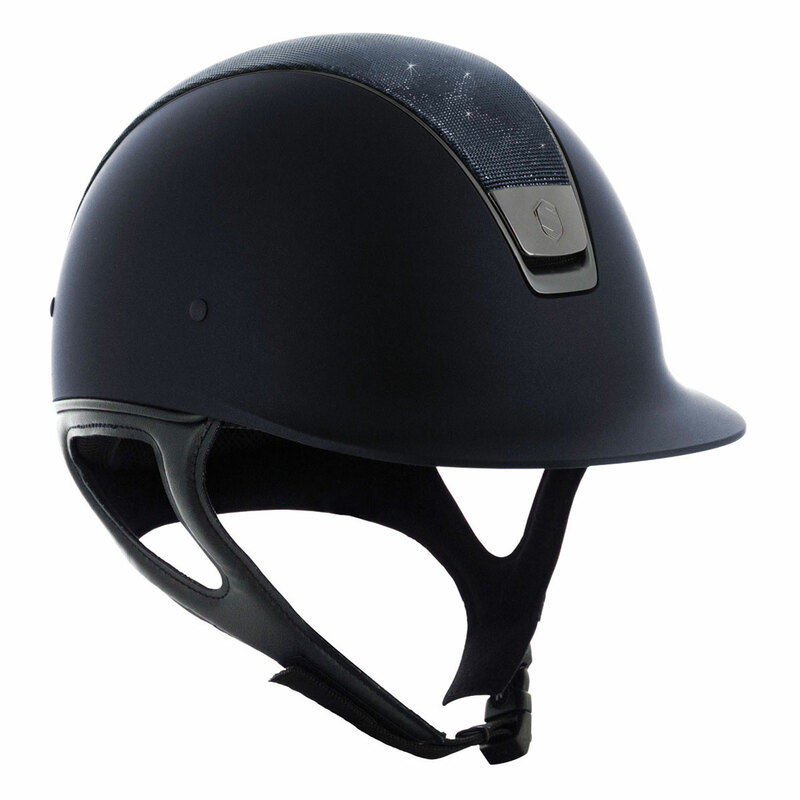 Shimmer leather top provides the right amount of sparkle in the show ring! To clean the outer shell of the helmets (Shadowmatt or Premium Alcantara) it is recommended to use cleaning wipes or simply a wet sponge with natural soap. Helmets should be left to dry naturally. To clean the liner it is possible to use a washing machine but best way is hand wash with soap. Always inspect the inside and outside of the helmet as well as the chin strap before and after use. When the helmet is not use, it should be stored away from the light. The helmet should never be exposed to temperatures lower than -20°C or higher than +50°C. Any contact with corrosive or aggressive substances should be avoided. Use solvents can alter the characteristics of the helmet and compromise its quality. 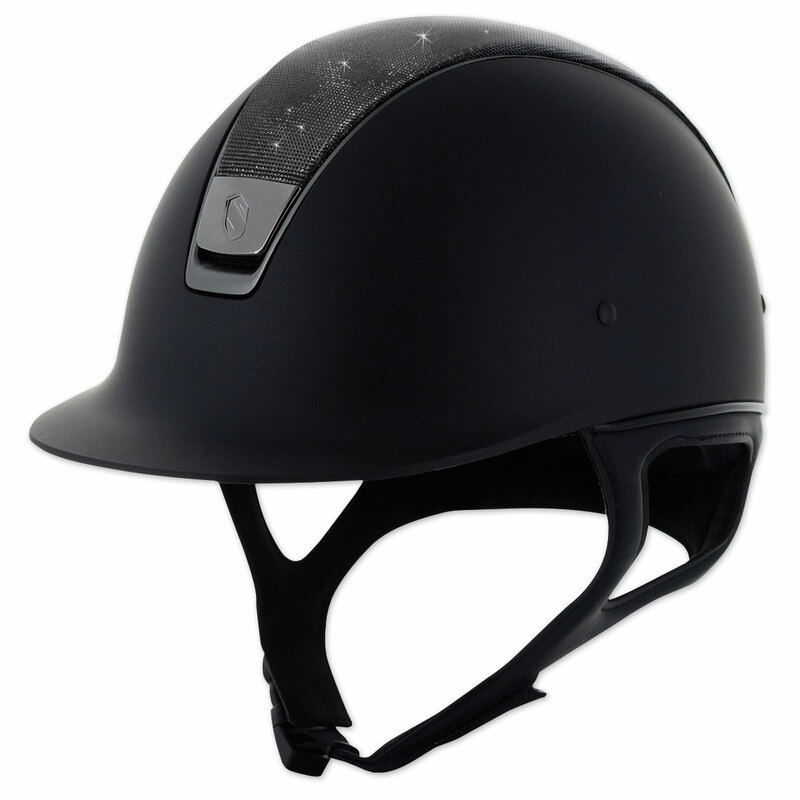 Samshield Shadowmatt Shimmer Leather Top Helmet is rated 5.0 out of 5 by 2. Rated 5 out of 5 by Louise1 from LOVE THE LOOK I got this helmet for Christmas and I love it so far!! It looks so pretty with the sparkle!! I've received many compliments on my new helmet. It is also very comfortable, love the removable comfort liner. I usually buy GPA helmets, got the same size and fits just right. So far I like this Samshield better than my previous GPAs. Rated 5 out of 5 by Donna E from Safest helmet around Great Helmet, I feel off on my head and the helmet didn't break nor did my head. Best helmet I have ever owned. Very pretty too.